CONSCIOUS EXCLUSIVE. 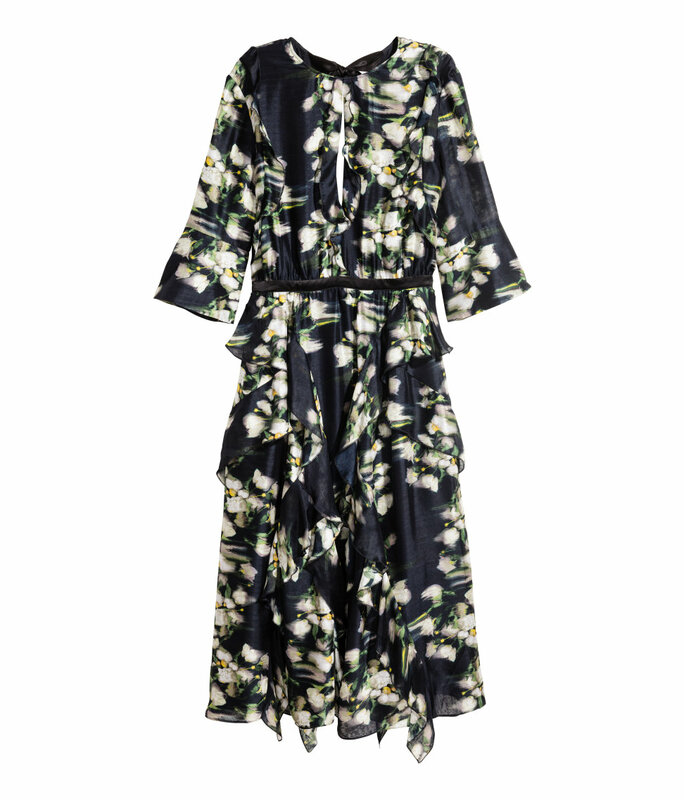 Calf-length dress in airy, patterned, organic silk with a slit and flounces at the top. Deep V-neck at the back with contrasting colour satin ties at the back of the neck and 3/4-length sleeves with wide, flared cuffs with a button and slit. Seam at the waist with an inset contrasting colour silk band and a wide skirt with flounces. Lined.